Valentine’s Day is upon us, and I have a confession…I’ve never been a fan of it!! Much to my fiance’s chagrin, I’m not much of a romantic. I’ve never really enjoyed getting flowers, or cared much for fancy dinners. Sometimes I wish I was more into those types of things, so I could enjoy Valentine’s Day as much as everyone else. But the practical part of me just can’t get behind someone spending four times the normal price to have a bouquet of roses delivered. For our first Valentine’s Day together, my fiance and I stayed in at my request, and I made him a heart-shaped pizza. Since then, we’ve fallen into the tradition of making (or ordering) a heart shaped pizza, and sometimes even add heart shaped pepperoni. That’s all I really want on Valentine’s day – a slice of pizza, a good beer, and quiet night in. That being said, I still love baking for Valentine’s Day!!! Whether you’re whipping up some treats for your office, making desserts for a galentine’s day party, or baking for someone special in your life, this list has something for everyone. 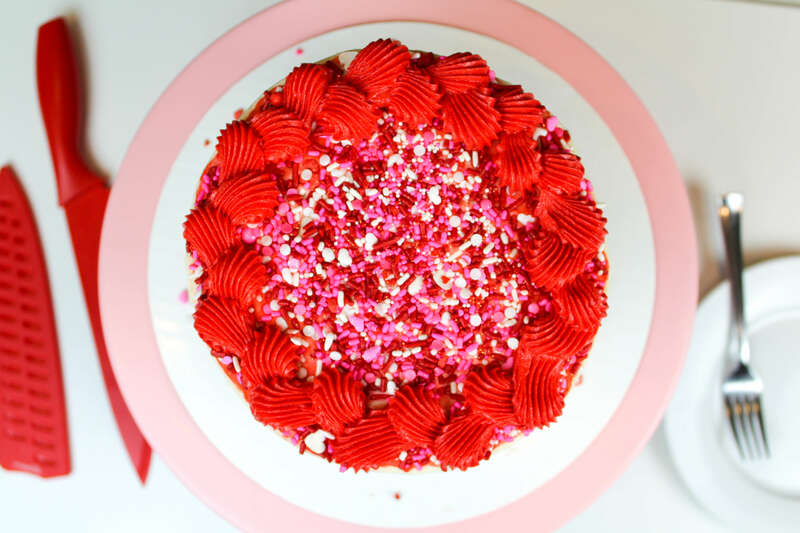 I feel so inspired this time of year, as Valentine’s Day desserts begin to pop up on my instagram feed, all over Pinterest, and across YouTube! I love all the beautiful pink and red sprinkle blends, the vibrant shades of frosting, and heart-shaped everything! Each year I stock up on my favorite Valentine’s sprinkles, and visit my local candy store for candy lips and pink lollipops. Then I set to work coming up with new Valentine’s Day dessert ideas and recipes! While working on my valentine’s day baking this year, I thought back to all the Valentine’s Day cakes and cupcakes I’ve made over the years. I’ve shared the recipes and tutorials for most of them, and I figured it’d be fun to create a post to revisit all of these easy decorating techniques and recipes! I’ve really covered the spectrum, from red velvet cake, to chocolate blackout cake, to cute valentine’s day cupcakes! Hopefully these Valentine’s dessert ideas will help inspire your creativity, and encourage you to whip up something special. This cake is perfect for all the red wine fanatics out there, and something I totally picture at a galentine’s day party! The recipes are pretty easy, and so is the decoration! 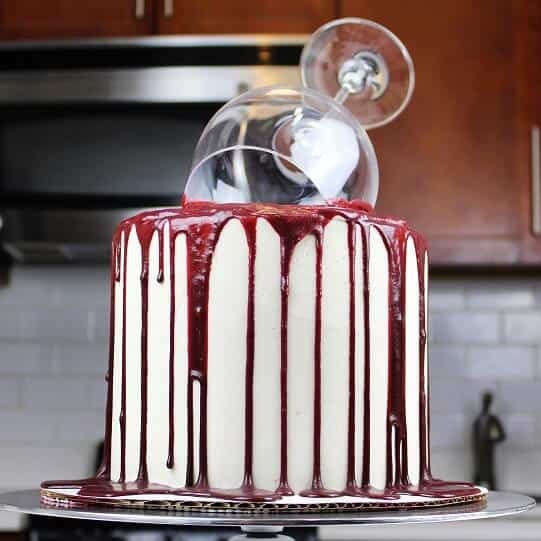 All you need are some red velvet cake layers, your favorite buttercream frosting, a red wine drip, and a massive wine glass! My main tip is to be sure to use a light-weight wine glass, so that the frosting can hold it in place. When I think of Valentine’s Day, chocolate covered strawberries always pop into my head. 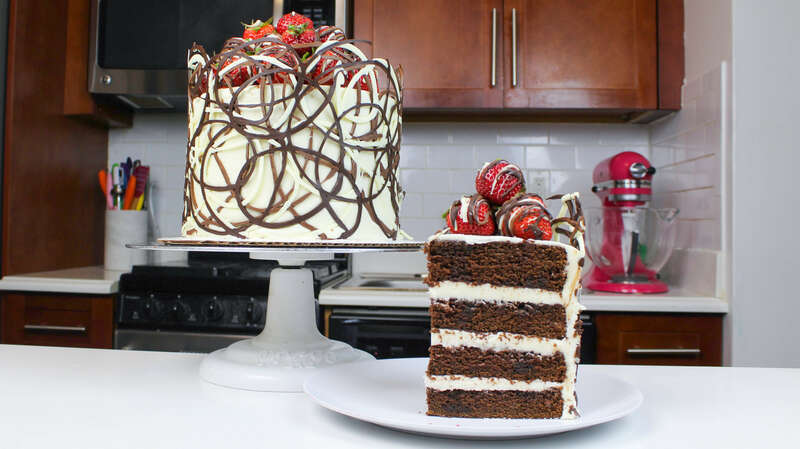 This cake takes that concept to the next level, by using three different types of chocolate to cover strawberries, and to wrap the cake in! It’s a simple, elegant cake design that’s sure to impress. This cake might as well have been made by cupid himself. 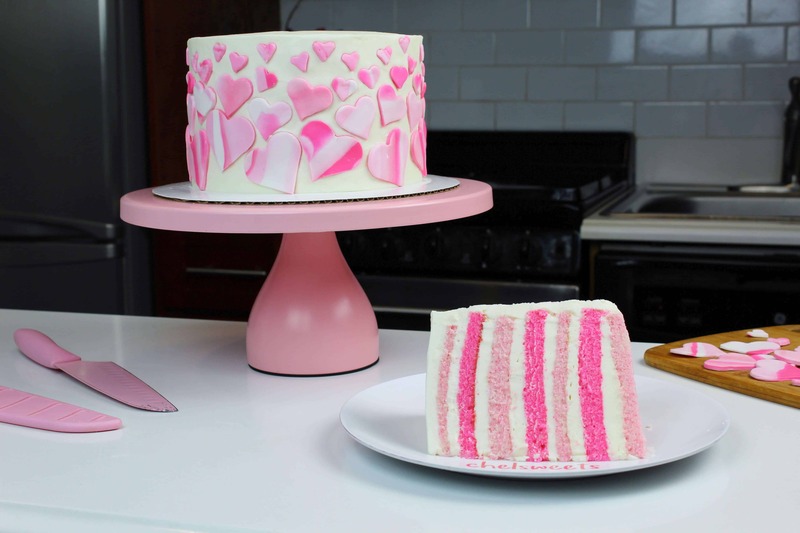 The colorful pink cake layers and the marbled fondant hearts just scream Valentine’s Day! I know, red wine AND dark chocolate?? This is one combo you’re just going to have to trust me on. The deep flavors of the dark chocolate and red wine pair surprisingly well together, and it’s just an added bonus that you can pour yourself a glass of the leftover red wine while making these. 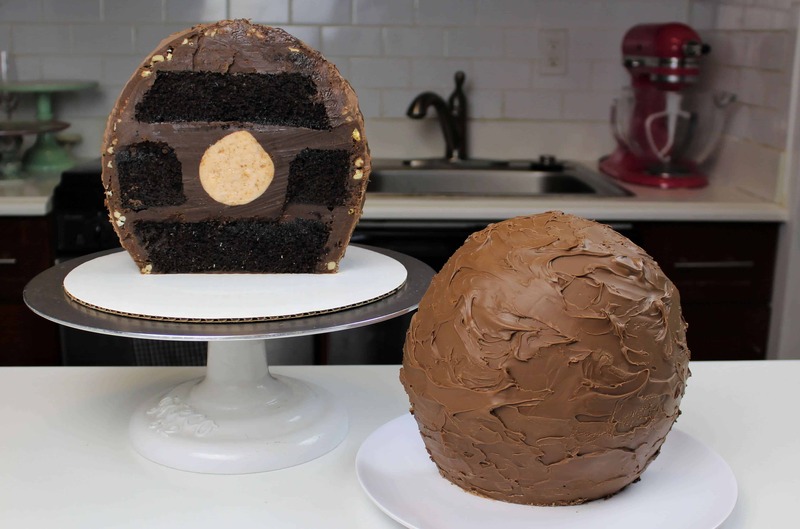 Chocolate truffles are synonymous with Valentine’s Day, so why not make a giant chocolate truffle cake?! This cake is inspired by a Ferrero Rocher truffle (hazelnut center and all), but you can decorate it to look like whatever your favorite truffle might be! Another take on chocolate covered strawberries, but with a drip this time! Why? 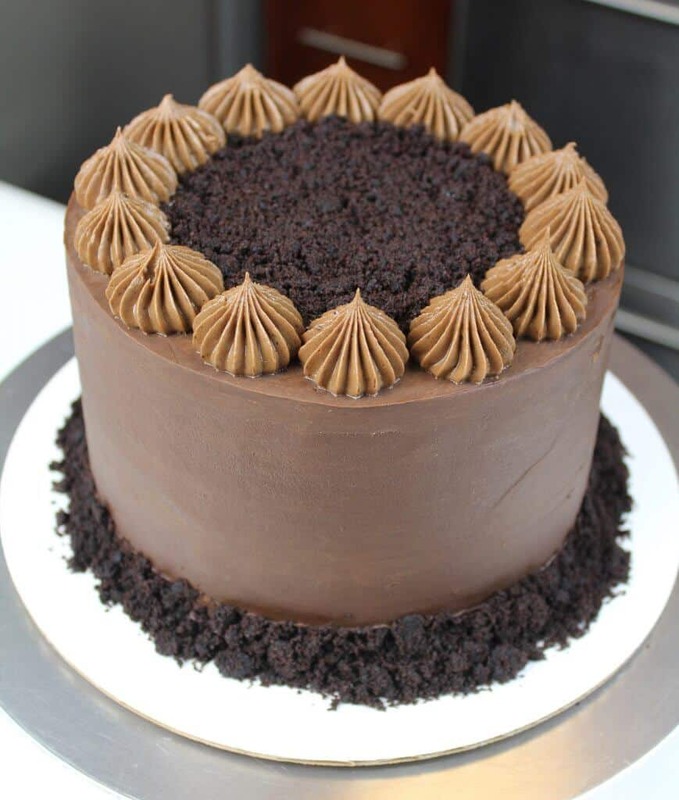 Because you can never have enough chocolate, and drip cakes are just so fun to make! She’ll tell you she wants flowers, but what she really wants is a bouquet of buttercream roses!! 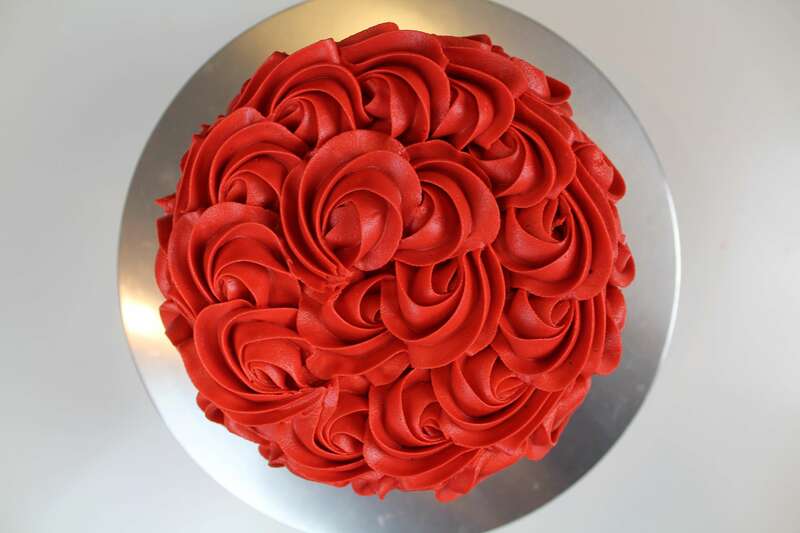 All jokes aside, this red buttercream rosette cake is stunning for Valentine’s day (or really any time of the year), and is super easy to make. 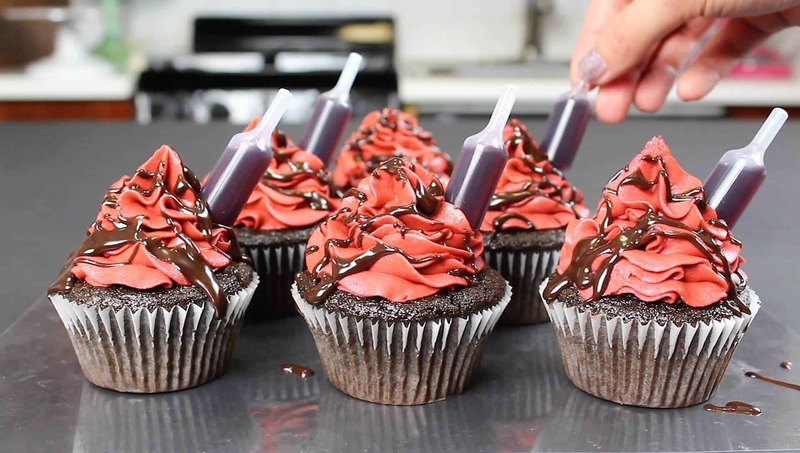 All you need is a batch of red buttercream, and a Wilton 1M or 2D frosting tip. Valentine’s day wouldn’t be complete without a little chocolate!! This blackout chocolate cake is made with black cocoa cake layers, filled with homemade chocolate pudding, and frosted with milk chocolate ganache! This chocolate cake recipe is one of my favorites, and I’m sure it’ll become one yours too! 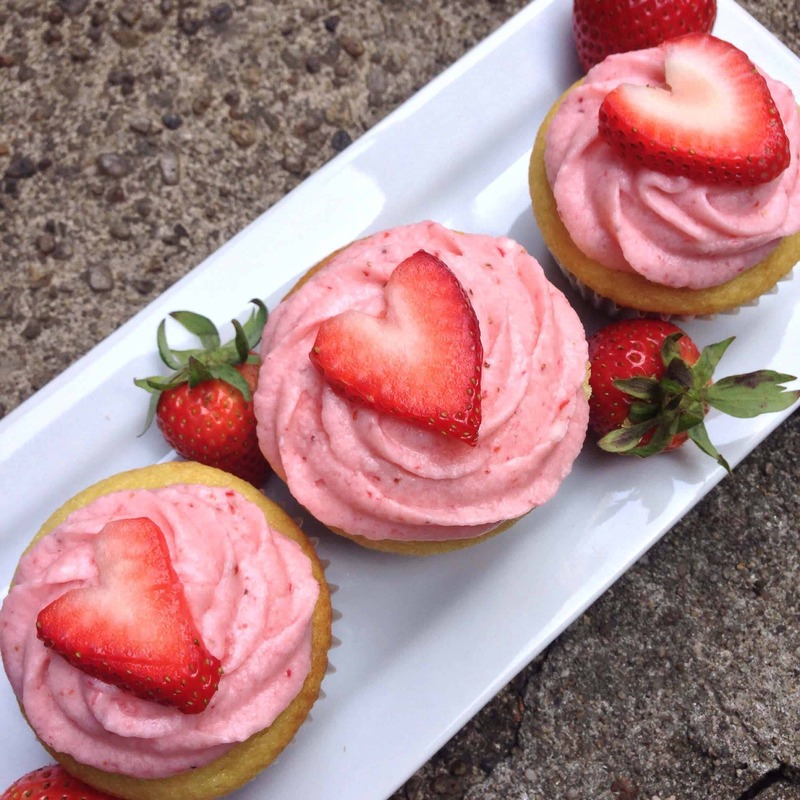 When in doubt (or short on time/energy), just go crazy with some Valentine’s day sprinkles! I made this cake with my go to vanilla layer cake recipe, and added some pink gel food coloring to create colorful cake layers. To decorate the cake, I covered the top of a cake with sprinkles, then added a bright buttercream boarding using my favorite frosting tip. 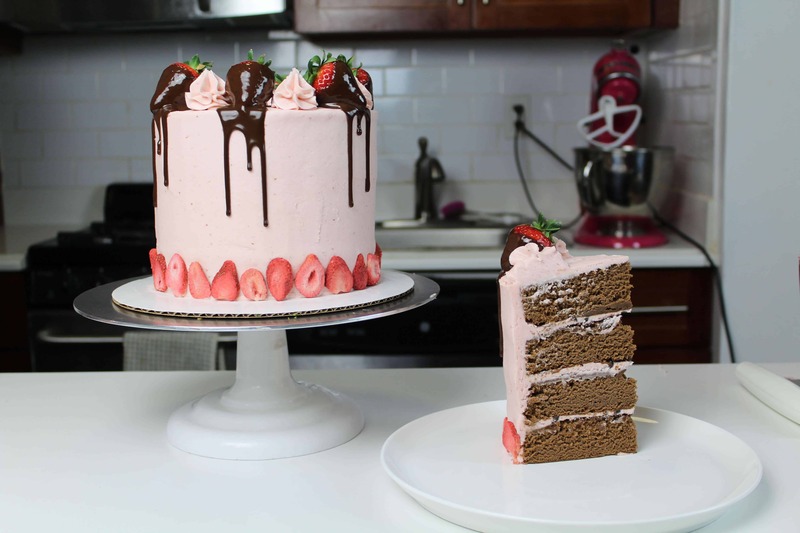 If you want more Valentine’s Day dessert inspiration (including my anti-valentine’s day cake), below is a video compilation of some of my favorite Valentine’s cake, showing exactly how I make them. They are all beautiful, I love to see you make them.God bless you.